It used to be common to build kayaks for one's children all across the Arctic. 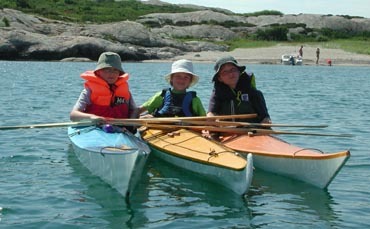 Children quickly pick up kayaking skills, and their agility and low center of gravity rapidly make them very adept. 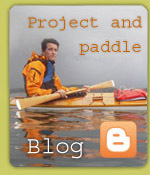 Children can derive a lot of pleasure from paddling a kayak made to fit their size. All the models described above can be built to scale for children or youths. For smaller children, I advise the use of outriggers so that the kayak does not capsize.